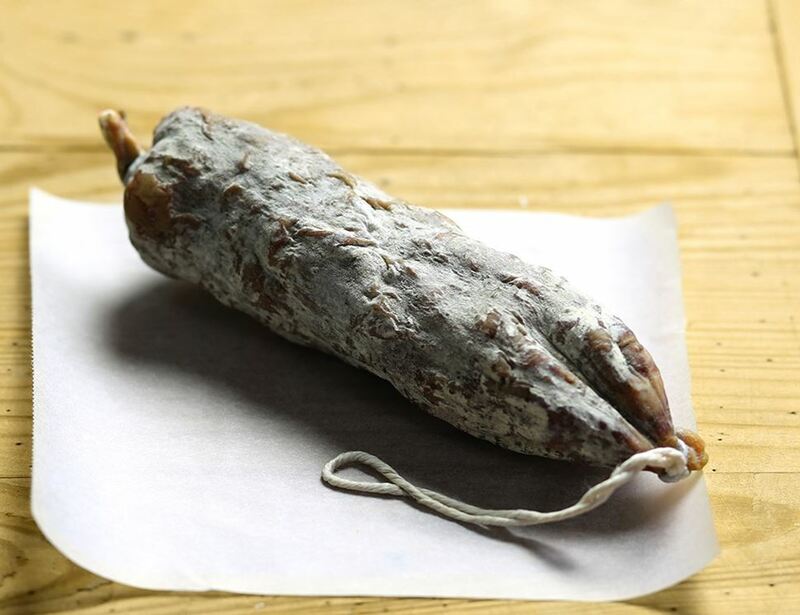 Made with quality cuts of organic rare-breed Tamworth pork, with a delicately-flavoured creamy fat, this is a mild, classic salami with delicate hints of nutmeg and garlic. *Lean trimmed pork meat (63%), *Hard Back Fat, *Red wine, *Garlic, *Ground black pepper, *Cracked black pepper corns, *Ground nutmeg, Curing salt (E250), Natural beef sausage casing. * = produced to organic standard. Store in cool dry conditions. Eat within 10 days of opening. Remove outer wrapping. Best eaten at room temperature.